At Brunswick Forest, we’re all about location and bringing the elements of a good life to our residents. Location is our advantage and we highly encourage local exploration to some of the best white sand beaches in the Southeast. 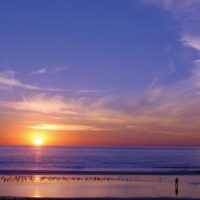 The beaches are a large part of our ideal coastal lifestyle. 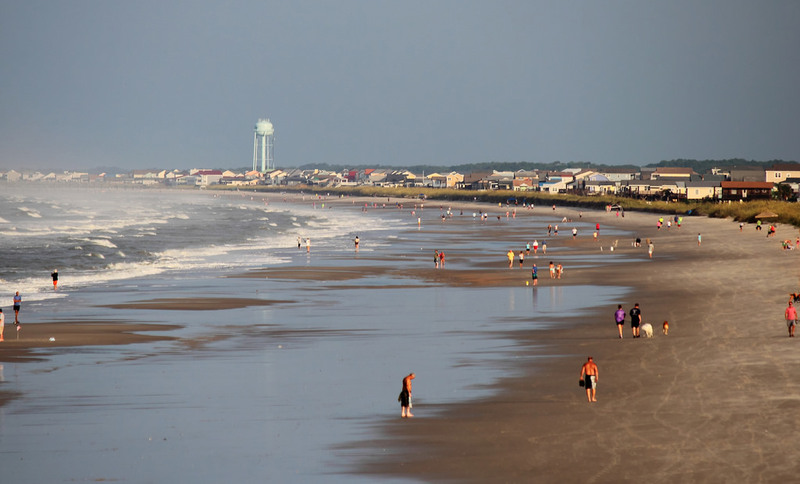 Wrightsville Beach is easy to access and offers pristine white sand, for as far as the eye can see. 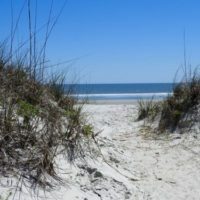 If you want to talk about a true coastal tradition, few beaches in the area can match the significance that a day trip to Wrightsville Beach will offer. 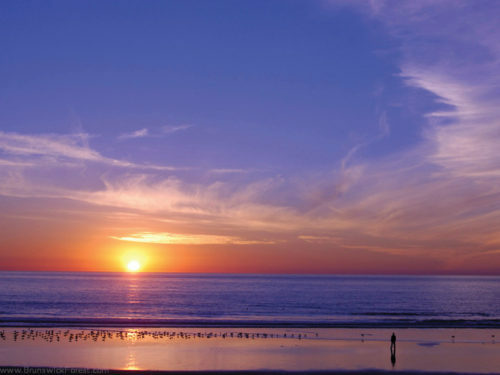 With surfing, paddle boarding, and tons of watersport activities, the area has always been a well-known coastal get away for many locals and visitors. 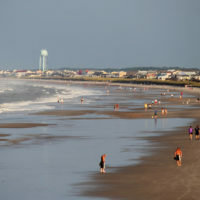 There is truly something for everyone at Wrightsville Beach. If fishing is more your game, then the famous Johnny Mercer’s Fishing Pier can accommodate your need to reel in the fun. After the sun sets, you can relax and catch a cool drink at Jerry Allen’s Sports Bar, or you can grab a delicious and locally sourced meal at 22 North. 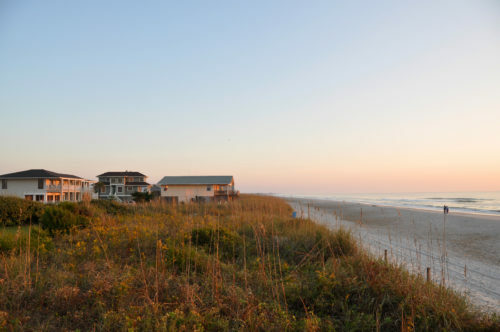 Breath-taking views make Wrightsville one of the most desirable beach towns on the coast. If you’re looking to spend a comfortable winter day by the water, most Wilmingtonians will tell you that there’s no better place than Wrightsville Beach. 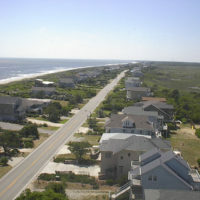 Carolina Beach is an authentic beach town with a diverse attraction. 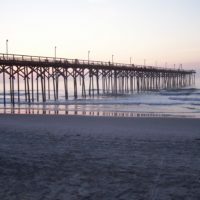 While Wrightsville attracts a much broader audience, especially for tourism, Carolina Beach has a more rural atmosphere. 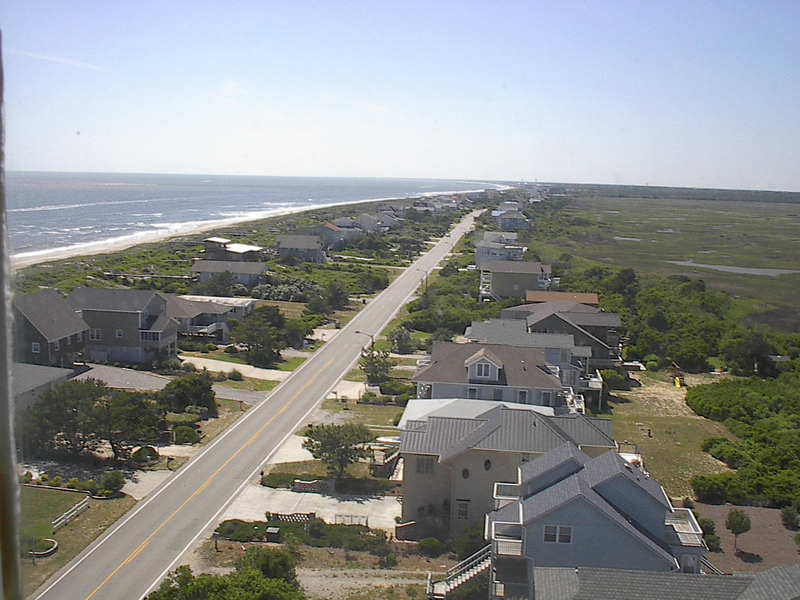 A classic beachside boardwalk, a state park, and miles of beautiful strand make up the Carolina Beach scene. There are also plenty of charter fishing opportunities if you’re looking for an adventure out at sea. 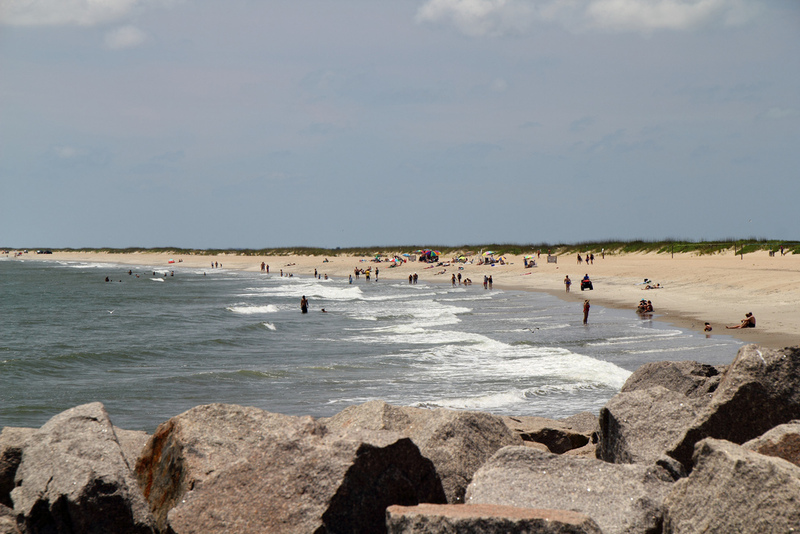 Carolina Beach has many hidden treasures that give it a more laid-back vibe. 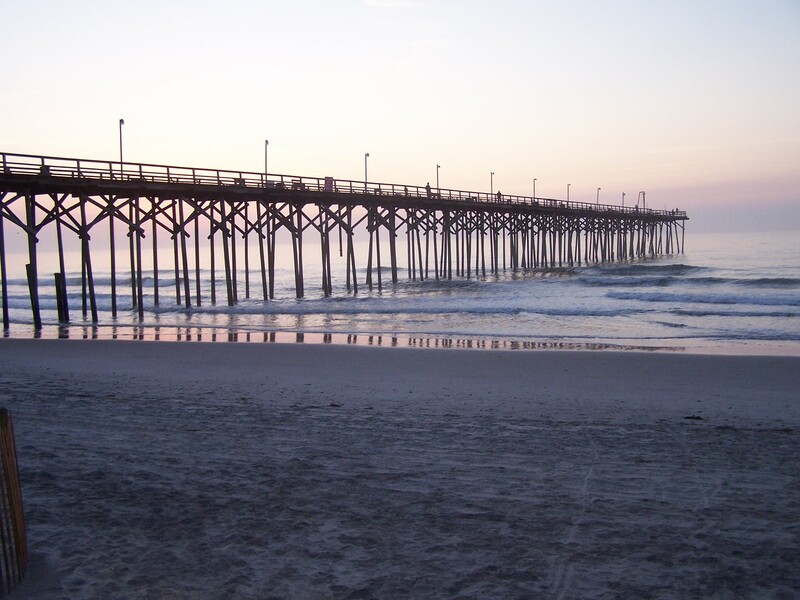 Whether you’re looking to find a tranquil place for your morning jog, indulge in delicious local seafood, or wind down at the tiki bar, Carolina Beach has it all. 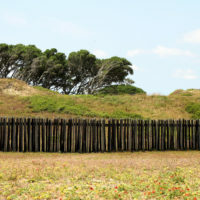 When Wilmingtonians think of history on the beach, many will tell you about Fort Fisher at the very Southern end of Kure Beach. 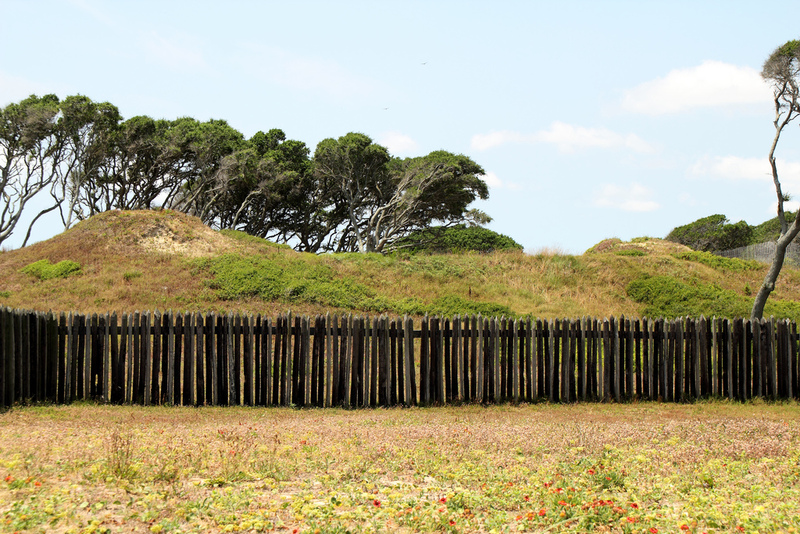 154 years ago, Fort Fisher played host to some of the most significant battles of the American Civil War. You can view the history in person by visiting the historical Civil War museum. Aside from history, there is something truly picturesque, and even romantic, about the Kure Beach area. 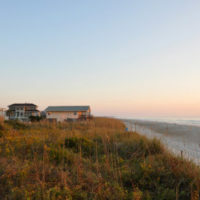 When life becomes too hectic, Kure Beach and its small-town vibe will take you away to appreciate life’s little pleasures. 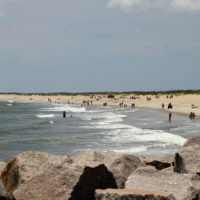 Bordered by both the Atlantic Ocean and the Cape Fear River, a pleasant walk or a memorable photo are all within reach. Visitors can also enjoy the Aquarium at Fort Fisher, kayaking to Zeke’s Island, or find a beautiful ocean view at Ocean Front Park. If you’re looking for the calming vibe of a small village with the oldest fishing pier in the area, Kure Beach is the place to be. Home of the symbolic Oak Island Lighthouse, that has stood as a guide for ships since 1958, Caswell Beach and Oak Island guard the mouth of the Cape Fear River. When ships are forced to navigate past the infamous Frying Pan Shoals, the Oak Island light is there to protect them. It’s a famous landmark that can be seen literally for miles around and offers spectacular natural views from the observation deck. Caswell Beach is a sleepy town that offers a less crowded option for your coastal getaway. It’s the perfect place to create new memories with someone close, or with the whole family. 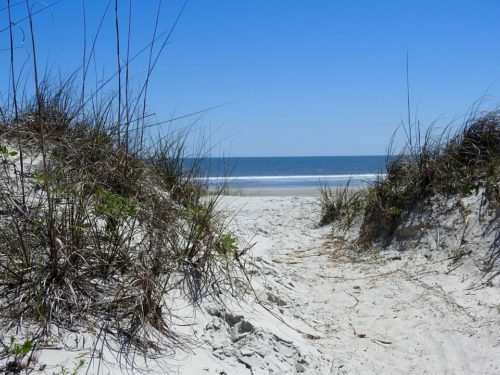 Both areas are a pleasant escape, not far from Bald Head Island and Southport. If you want a beach that’s peaceful and more off the grid, look no further. Brunswick Forest prides itself on being close to areas that make life the most enjoyable. With a multitude of beaches to explore, it’s no wonder why so many people choose to call our area “home.” Will you be next to join them?